Sungkyungkwan Scandal: Squee~ (once again, not a pig!) Song Joongki, Yoo Ah In + Park Yoochun + Park Minyoung + crossdressing – the works. The weird whirlwind is clearly (?) Song Joongki. For those who do not know, Infinity Challenge ended last month (3/31/2018). 12 years is quire a feat for any variety show, and to be able to last that long with competitive ratings throughout is nothing short of amazing. Here are some videos currently on my channel! ep 75 — Study With Me [Please]! This 50 episode monster sure is a grand way to celebrate the 50th anniversary of TVB – BUT I actually liked it… well, more than Heart & Greed at least. Easily one of my favorite dramas from the closing of 2017! Hi~ I’m going to be sharing some thoughts about some travel variety shows that TVB rolled out in 2017 that might be worth a watch! 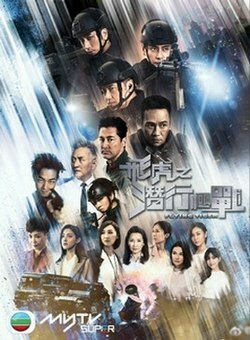 TVB must have had much Heart & Greed for this 40 episode, 3rd installment of the 溏心風暴 franchise to do well, but it fell short of the expectations I didn’t quite have from the start. Sorry. This is actually quite cheap of TVB to save their dramas, i.e. finding their old hits, and trying to exploit ratings in a game of “let’s make a franchise out of this because it seems like the first installment worked,” but whatever. Don’t expect too much. I’ve actually contemplated about whether or not I should even write this post, as I’ve actually stopped watching Running Man. “Watching,” in the sense that I watch each fresh episode every single week — I’ve only watched a select few of the recent episodes because (1) I ran out of other things to watch & (2) I wanted to see how they were doing.